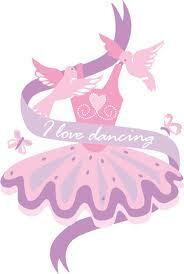 Dance class clothes include any color leotard, shirt, tights, crop top, dance pants, work-out or warm-up suits. Jeans and street clothes are not recommended. Hair needs to be pulled up and away from face. After costumes are delivered, Brian Ornelas Photography will come to the studio in mid-May and photograph individual and group pictures of each class. Each year, Miss Tirita hires a production firm to videotape the recital. Our recital is scheduled each year for late May at Charles Page High School in Sand Springs. All Monday and Wednesday classes perform in Recital I on Thursday night. All Tuesday and Thursday classes perform in Recital II on Friday night. Balances are due at our costume preview and fitting meeting in January. This is held during the last 20 minutes of your child's dance class in early January.